The cashing in of Gold ETFs has begun! A big time investor in London was recently prepared to pay the 750 pounds required to cash in his gold exchange traded funds and take delivery of his gold bullion. This is the first transaction of this sort and likely will herald further such transactions as people scramble to get their hands on solid gold rather than rely on shares that reflect the movement of the gold futures market. Gold investors, it seems, are becoming more suspicious of global gold markets and would rather stick to solid gold that has an industrial use such as making jewelery, or as an investment strategy by holding gold that, although may not generate any interest, certainly does retain its value. 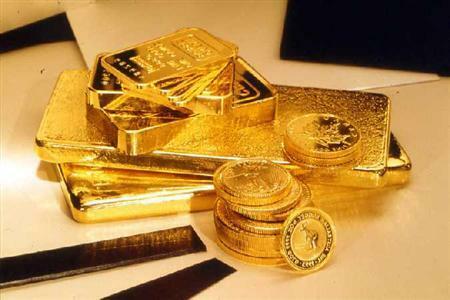 It is significant that the investor has been prepared to pay a premium to acquire his gold. The gold broker in question, ATS Bullion in London, sells gold at a four percent premium to any investor buying a kilo bar. At the time of this particular conversation, bars were selling for 29,000 pounds, making the commission for buying a bar 1,160 pounds. More than the 750 pounds flat fee from ETF Securities this particular investor paid, although there were additional costs such as shipping and insurance etc. Lansing also pointed out that most investors buy ETFs through brokers who then hold the shares on their behalf. This could cause initial problems for any investors hoping to turn their shares into gold as ETF Securities has to be able to identify which shares actually belong to the investor. Only when individual shares are matched up with the individual investor can the process of swapping them for gold go ahead. It seems evident that, although, for a price, one can remove ones gold holdings from an EFT account under the right circumstances, companies such as ETF Securities are not fully comfortable with it. The real reality is that a run on extracting ones gold from a gold ETF would cause immense pressure on the gold ETF and if there was insufficient gold to dish out as has been speculated not too long ago the ETF would likely come crashing to the ground. Despite this, or even because of it, it is possible this is not the last cashing in on gold ETFs that will occur given the current global financial crisis. 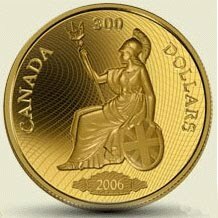 When buying gold there are some gold and gold coin scams to watch for. Here are some examples of gold scams and what you can do to prevent them. Proof coins are manufactured differently to other coins. The manufacturing process used imparts a special finish on proof coins made especially for collectors. The uncirculated grades are from MS60 to MS 7, with MS70 being the highest grade possible and considered the perfect coin with no evidence of scratches or contact marks of any kind. Very few coins achieve this grade and naturally this grade commands the highest value and price from collectors. MS70 The perfect coin showing no trace of wear. Flawless. MS68 An attractive coin with barely discernable markings. No more than two markings or flaws. No hairlines, no scuff marks even under magnification. MS64 A Choice Brilliant Uncirculated coin. Mint luster above average with several small contact marks as well as one or two moderately heave contact marks. MS60 An Uncirculated coin. This coin has no traces of wear but may have contact marks, with a spotted surface and lack the brilliant luster of the higher grades. Rims may be nicked. Coins in this grade may be unattractive, dull or have washed out mint luster. Grades below MS60 apply to circulated coins in general. This system of grading, although well known and used by dealers, is still open to fraud if one does not watch or take due care and diligence when buying gold coins. This based on the fact that there is a big difference in the value of cons within this grading and usually only a professional can tell the difference in the grade of a gold coin. For example a 2002-W $50 Gold Eagle can be worth around $1,650 at the M60 grade,a very clean condition, but not perfect. MS70, however, for the same coin woudld fetch more in the region of $2,850. A collector, particularly a new one, who is unfamiliar and simply takes at face value the grade of the coin can pay dearly for a coin of lesser value than they think they have. And this doer snot show up immediately but later if and when they get the coin valued. The difference can be in the many hundreds of dollars. Some untrustworthy dealers will go to great lengths to hide the true value of a coin. Presenting it in packaging that hides some of the sides or edges of the coin. No or false certificates issued by obscure names that no one knows. Beware of dishonest dealers quoting the Salomon Brothers Index as proof that your coin will appreciate in value quickly. The Investment bank, the Salmon brothers issues an annual index of gold coin appreciation of between 12 and 25 percent a year. This is like comparing apples with bananas as this index is based on 20 very rare coins and not on the general appreciation of gold coins which are not likely to appreciate at the same rate. The rate is for rare coins not the more common gold eagles you find in any local coin shop. The counterfeit coin. Believe it or not there are counterfeit gold coins around. These can be spotted easily enough by a proper valuation however. Also if you buy gold coins sigh unseen and have them stored from you, how do you know there are actual gold coins there? There is no way you can tell if the coins you bought ever exist. Your only security is the word of the company you purchased the coins from. The saying, 'a bird in the hand...' comes to mind here when it comes to gold coin scams to watch for. It really comes down to the dealer you are dealing with. The first thing to do to avoid buying coins not their advertised value is seek out a reliable and trustworthy dealer. Make sure the dealer is registered and bona fide. Do some due diligence. Do they have a fixed address? Are they registered with the better business bureau and similar organisations and associations. A transformation has been occurring in the gold arena over the past few years and this looks set to continue as the recession continues to languish and spread around the financial world like a fast moving virus. Jewelery has always been the traditional outlet for gold sales for many years but now this is being overtaken by, what one analyst termed "a veracious demand for gold bullion by traditional investors". Demand usually leads the price so this might partially explain why the price of gold has increased from an average of 250 dollars an ounce in 2000 to over 1200 dollars now in 2010. However, if adjusted for inflation it could be said that there is still a long way to go and a price of 2500 for an ounce of gold is very much on the cards in the not too distant future. What goes around comes around and it seems that buying gold is definitely the investor flavour right now. SPDR Gold Shares, the worlds largest gold exchange traded fund, is reported to hold over 1280 tonnes of bullion. Assuming that is correct, it means that this fund alone now holds more gold bullion than many of the central banks. This heavy buying has resulted in the sale of gold bullion overtaking the gold jewelery market for the first time in 30 years. GFMS, the consultancy firm that compiles benchmark supply-and-demand data on the precious metal, also stated early in 2010 that this year "gold investment demand doubled to 1,820 tonnes in 2009, while jewellery purchases fell by 23 per cent to 1,687 tonnes, a 21-year low." GFMS also indicated that gold jewellery demand has fallen by a third from a peak of 3,294 tonnes in 1997, when gold was trading below $500 an ounce. The other major change in the gold market is increasing trend of central banks to now buy gold bullion. For 20 years banks were the sellers of gold. But that trend has now reversed as banks in Europe slow down their gold sales and banks in China, India and Russia and the south Americas increase their gold buying significantly. A Barclays Capital precious-metals analyst in London, Suki Cooper, strongly believes for the first time in over 15 years, central banks will now be the major net buyers of bullion this year. India's purchase of 200 tonnes of the IMF gold, Beijing's announcement it had effectively doubled its gold reserves and was now the fifth largest holder of gold all seem to indicate a serious preference for gold over currency. This trend towards gold was recently highlighted by the Swiss bank, UBS, which found that almost a quarter of central banks believed gold would become the most important reserve asset in the next 25 years. According to some recent mining reports, gold production will continue to fall over the coming years. Vincent Borg, spokesman for number one producer Barrick Gold has announced, "it's a fact that gold production from mines has been in decline since 2001 and has gone roughly from 85 million ounces to about 75 million ounces a year," He continued. "It sort of goes down about one million ounces every year and our forecast is that it will continue to decline despite the higher price" for gold nowadays, he said. Almost everywhere you look these days, gold deposits are being exhausted and new deposits are not being found fast enough to replace them, these experts explain. South Africa, once at the forefront of world gold production, has experienced a 9.3-percent drop in production year-over-year in the second quarter, according to its Chamber of Mines. "It's just that the assets are not there anymore," Tonya Todd, a spokeswoman for Goldcorp, Canada's second biggest gold mining firm. Despite this, Barrick and Newmont hope to continue increasing their production of gold next year by anywhere from seven to ten percent but long-term, it is still going to drop overall. “And no significant new discoveries have been found in recent years, despite the higher gold prices and despite higher exploration budgets," said Borg. This means that the grade of deposits will continue to get less and the average grade of mines will be less and gold will be more expensive to produce as a result. The global gold mine production is expected to rise by around 3.7 percent in 2009 to near 2,500 tonnes, but this will only satisfy only two-thirds of demand, which is soaring this year to a new high of 3,800 tonnes, doubtless due in no small part to the global financial crisis, according to the World Gold Council. Historically, gold recycling or the sale of central bank stockpiles made up for supply shortages, however during the latest financial crisis, banks have been buying up gold in large quantities to protect monetary reserves against the weakness in the US dollar and so this is no longer an option. And since November this year, India's central bank has collected up 200 tonnes of gold from the International Monetary Fund, at a market value for about 6.7 billion dollars. Amid uncertainty in the stock market, small investors and hedge funds are also coveting gold, driving up demand for the precious metal. This drop in gold production, combined with the hoarding of gold by China and India and more demand for gold as a hedge and asset protection will certainly serve to increase the price of gold bullion over the coming years. Anything that becomes more scarce always commands a higher price and gold, being already considered highly valuable in these days of economic uncertainty will almost certainly mean a boom in the price of gold bullion. This blog is now located at http://buying-gold.goldprice.org . What is the difference between allocated and unallocated gold? Why should there BE a difference? And what benefits are there for the gold investor when it comes to the security of allocated and unallocated gold accounts? Firstly let us look at how the allocated and unallocated system works. An Allocated gold account means that the gold is owned outright by the investor or account holder. Usually this will be in a size comparative to the holding of the investor. It might be small bars and coins for a small investor but large 400 ounce gold bullion bars for a large investor. The account holder pays a storage and sometimes an insurance fee. Most importantly the holdings are secured against the account holders name and the serial numbers or other identification is registered to that account holder. 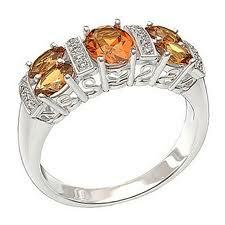 The account holder can redeem, or take out, the gold he has in their name at any time and have it shipped else where. It should be noted that gold exchange traded funds do NOT include allocated gold. Unallocated gold accounts are an entirely different story. Here the account holder does not own specific physical gold but only a value 'backed' by gold kept in storage by the bank or company, such as GLD for example, who hold the gold 'in trust'. "Unallocated accounts. This is an account where specific bars are not set aside and the customer has a general entitlement to the metal. It is the most convenient, cheapest, and most commonly used method of holding metal. The units of these accounts are one fine ounce of gold and one ounce of silver based upon a .995 LGD (London Good Delivery) gold bar and a .999 fine LGD silver bar respectively." It also states "The client is an unsecured creditor." Which is somewhat contradictory to the previous statement. Whereas the client who has an allocated gold account can point to some gold and say, "This is mine!" The unallocated gold account owner can only say they have lent money, at cost mind you since they have to pay for the privilege, to the institution who promise that those funds are backed by gold and the price is index-linked to gold. But the resemblance to owning gold stops there. You cannot redeem unallocated gold since you do not actually own any of the gold in the first place. 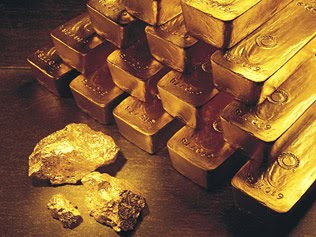 The institution may or may not have sufficient gold to cover the total value of all unallocated gold accounts and even if they do, they are also not bound to NOT use that gold elsewhere for another purpose, neither do they assume any responsibility for the safe deposit or storage done by a third party on their behalf. This enters into the fractional system of using Paul to pay Peter. A common pastime of banks in general. Our recommendation, if you want to have or own or hold actual gold, is to buy gold, and not a representation of it. Buy physical gold and have it stored. You can buy small bullion bars or large one depending on your own personal financial situation and one can buy on a regular basis to build up a gold store. But certainly we do not recommend you buy unallocated gold as, really, you are only buying a piece of paper that says your account is worth the same as the futures gold price. Not actually gold. A Gold Ponzi of Mass Deception? A Ponzi scheme one tends to associate with back street traders of dubious reputation and an unprofessional con man out for a quick buck. But only recently Adrian Douglas from the Gold Anti Trust Association (GATA) confirmed in testimony to the U.S. Commodity Futures Trading Commission (CFTC) that the London Bullion Market Association is operating a massive fractional reserve gold market which he refers to as a Ponzi scheme. This has also been confirmed by Jeffry Christian of the CPM Group who noted that the London "physical market" is actually trading a hundred times more paper gold than there is physical metal to back those trades. One might wonder how the LBMA can sell gold bullion that they do not actually have in their vaults. This is done through the allocated and non allocated account system. In an allocated account, an investor will have specific bars of gold specifically assigned to him and when the gold bars are purchased the investor will be given the serial numbers. That investor has full title to that gold bullion and the dealer acts as a custodian, holding the gold on behalf of the client. The LMBA describes allocated accounts as"
"These accounts are opened when a customer requires metal to be physically segregated and needs a detailed list of weights and assays. The client has full title to the metal in the account, with the dealer holding it on the client's behalf as a custodian." An allocated account is where the investor has on deposit with a financial institution specific bars of gold or silver that are segregated for him and he is given their serial numbers. This gold and silver can be audited and the customer can have confidence that his investment is safe insofar as it really exists, is being stored on his behalf, and he has title to it. One would think, therefore, that if 20,000 unallocated account holders collectively bought 200 tonnes of gold, there would naturally BE 200 tonnes of gold resting in the vaults. "Transactions may be settled by credits or debits to the account while the balance represents the indebtedness between the two parties." "Credit balances on the account do not entitle the creditor to specific bars of gold or silver, but are backed by the general stock of the bullion dealer with whom the account is held. The client is an unsecured creditor." physical ounce for every hundred ounces that have been sold in unallocated accounts." Importantly, it also states that "The client is an unsecured creditor." If 10 tonnes of gold are bought for 10 clients with allocated accounts, those ten clients are secured, but if the accounts are unallocated, then they are unsecured and there is no guarantee whatsoever that there is gold to cover that clients holding. Otherwise why describe them as unsecured. This opens the door to operating a fractional-reserve basis and, while that might be acceptable for currency, it is certainly not acceptable for gold being held in trust for clients. Unallocated accounts are not then, "the most convenient, cheapest, and most commonly used method of holding metal." Rather, they are an unsecured way of holding an IOU for gold or silver bullion. Just a paper promise. Indeed, an unallocated account holder is really just lending money to the bank at a negative interest rate, as the customer is the one that is paying the fees for the privilege of lending the bank money. The only real connection between gold and the 'loan' is that the loans are index-linked to the price of gold bullion. The message is then, there is nothing so secure as holding actual physical gold and if one has to have gold held for one, ensure it is an allocated account and have the attendant security that goes with that gold. You should also have the serial numbers of the bars you own so you do know you indeed actually own some gold. Faking or counterfeiting gold has been a popular pastime for criminals out to make a fast buck for hundreds of years. From using 'fools gold' to steel and lead coated gold to the now modern sophisticated pastime of tungsten coated gold bars. What is of concern however is the possible deception of LDMA gold bars being really tungsten coated in a layer of gold as has been discovered recently. When it comes to faking gold bars tungsten is the ideal metal. With a density and weight fractionally close to gold it is difficult, if not impossible to tell the difference between a genuine gold bar and a tungsten coated bar. When the news of the tungsten gold bars surfaced in Hong Kong it was first assumed they were manufactured there. After all China has the reputation of being the biggest knock-off capital of the world. However the amount of gold bars in question was allegedly between 5,600 and 5,700 – 400 or around 60 metric tonnes. Such a sizable amount would have to be organised by a well financed and resourceful organisation. Roughly 15 years ago - during the Clinton Administration [think Robert Rubin, Sir Alan Greenspan and Lawrence Summers] – between 1.3 and 1.5 million 400 oz tungsten blanks were allegedly manufactured by a very high-end, sophisticated refiner in the USA [more than 16 Thousand metric tonnes]. Subsequently, 640,000 of these tungsten blanks received their gold plating and WERE shipped to Ft. Knox and remain there to this day. I know folks who have copies of the original shipping docs with dates and exact weights of "tungsten" bars shipped to Ft. Knox." The balance of this 1.3 million – 1.5 million 400 oz tungsten cache was also plated and then allegedly "sold" into the international market. So the global market is literally "stuffed full of 400 oz tungsten coated bars". Now, the two biggest gold exchange traded funds, StreetTracks and SPDR, both have their gold bars held by the LBMA Banks. When you consider there are well over a billion dollars in deposits with these two trusts, the GLD itself holds over 1117 metric tonnes of gold bullion than the central banks of China, Switzerland, Japan, Europe and India, then it becomes a big matter that so much of the gold is likely not really gold at all but tungsten with a coat of gold over it. Why not make fake gold coins with tungsten some might ask. In fact just by weighing the coins you can tell the difference. As coins are circulated more, as distinct to a gold bar that will sit in a dusty bank vault for years on end, they are more likely to be detected. The credibility of gold bars lies more in the paper work and tracking of each individual gold bars number than handling. It also cost 50,000 dollars to manufacture a 400,000 dollar gold bar taking into account the cost of the gold and labor. Fake tungsten gold coins would be too expensive to manufacture each. Not only that gold coins have a lot of detail, ridges on the sides etc and there are many people out there than can detect fake coins so it is economically unviable to fake gold coins. It is a good idea then to invest in real gold rather than paper gold and ensure that the gold you are investing in IS gold and not some counterfeit. Especially with the probably impending rise of the gold price. Gold ETFs, the real McCoy or just paper in the wind? Probably the biggest gold exchange traded fund is SPDR Gold Fund (GLD). "ETF investors piled into shares of SPDR Gold Shares(GLD) to the tune of $828 million in March as currency concerns kept the metal attractive. A rise in the price of the metal helped push net assets under management up more than $1 billion, to a new high of $40.5 billion." The Street, April 2010. The SPDR Gold Traded Exchange Fund was started just seven months after Rothschild exited the gold market in 2004. "LONDON, April 14, 2004 (Reuters) - NM Rothschild & Sons Ltd., the London-based unit of investment bank Rothschild [ROT.UL], will withdraw from trading commodities, including gold, in London as it reviews its operations, it said on Wednesday." Why would one of the most active traders in gold suddenly decide to withdraw from the gold market one wonders. Coincidence or not, a study of the prospectus for GLD shows some alarming statements. "Gold bars allocated to the Trust in connection with the creation of a Basket may not meet the London Good Delivery Standards and, if a Basket is issued against such gold, the Trust may suffer a loss. Neither the Trustee nor the Custodian independently confirms the fineness of the gold bars allocated to the Trust in connection with the creation of a Basket. The gold bars allocated to the Trust by the Custodian may be different from the reported fineness or weight required by the LBMA’s standards for gold bars delivered in settlement of a gold trade, or the London Good Delivery Standards, the standards required by the Trust. If the Trustee nevertheless issues a Basket against such gold, and if the Custodian fails to satisfy its obligation to credit the Trust the amount of any deficiency, the Trust may suffer a loss." This means in effect that gold bars held in trust are not guaranteed to actually BE genuine gold bars but could easily be something else instead. Later down the page it states. "Because neither the Trustee nor the Custodian oversees or monitors the activities of subcustodians who may temporarily hold the Trust's gold bars until transported to the Custodian's London vault, failure by the subcustodians to exercise due care in the safekeeping of the Trust's gold bars could result in a loss to the Trust." So no responsibility is taken for the gold bars held by LBMA Banks on behalf of the trust. In view of the latest exposure of some LBMA gold bars actually being counterfeit and really just tungsten bars coated in gold this could be of some concern to large holders of GLD certificates. Detecting a high-quality fake tungsten gold bar is not easy. The only way to do so is to drill a hole through the bar and see what comes out. A genuine gold bar and a bar filled with tungsten is going to weigh virtually the same since tungsten weighs within a fraction the same as a gold. The density is very similar also so those two principle methods of checking gold bars are practically useless. To properly test a gold bar would likely require significant and material alterations to the bar being tested and this would negatively affect the marketability even when its hallmark veracity is vindicated. During a recent Commodity Future Trading Commission hearing in Washington DC, Jeffry Christian of the CPM Group, testified that the LBMA Banks actually have about a hundred times more gold deposits that actual gold bullion. This means that gold is now being treated by the LBMA banks as a fractional deposit. Alarm bells ring when you consider that most of the gold held 'in trust' by the Gold EFT, GLD is held in LBMA Banks. So of the lesser amount of gold held against the actual deposits, how much of that is not really gold at all? If and when the proverbial hits the fan it might be better to have removed any gold deposits while they still have some value. Investing in solid gold, rather than paper gold is probably a wiser move when more people realize there is likely much less gold available than was previously thought and the price of gold consequently shoots up through the ceiling as a result.